The Argentinian writer Jorge Luis Borges was profoundly shaped by the city he grew up in — Buenos Aires, and the city plays a major role in many of his stories. Philip Coulter goes on a walking tour of Borges' Buenos Aires in the company of the celebrated writer Alberto Manguel. Part 2 of a 2-part series. 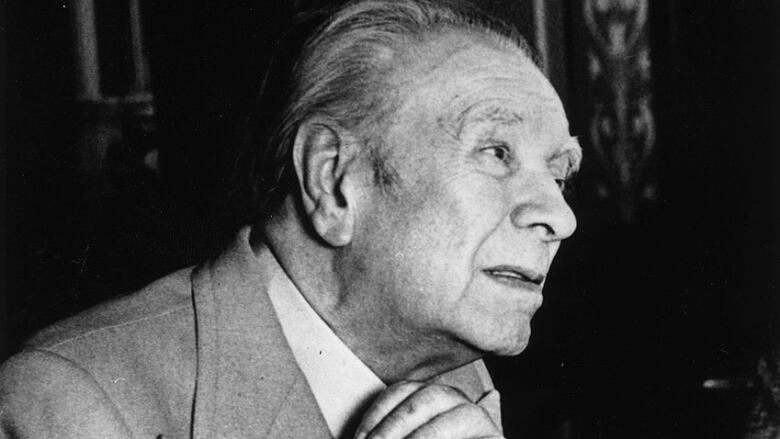 The Argentinian writer Jorge Luis Borges had a profound influence on the shape of modern literature. And he himself was profoundly shaped by the city he grew up in — Buenos Aires – a city that plays a major role in many of his stories. One of the great experimental writers of the 20th century, Borges believed that a story is a doorway to a world larger than itself, and that the act of reading is an essential part of both the making and the meaning of the story: the writer and the reader are in a great river, together. This episode is Part 2 of a 2-part series. **This episode originally aired December 13, 2017. And at this marble pillar I have waited in vain." The ageing, blind Jorge Luis Borges recreated the streets of Buenos Aires both in his memory and his imagination. He loved his city, but for him it was more than a place of bricks and stones — it was also a portal into a marvellous world of alternative realities, where its laws were similar to those in the real world, but bent a little — twisted, refracted. The streets Borges described to his friend, Alberto Manguel, were not quite the streets of that day, but the streets he remembered from his youth, when he could still see, and were reflected in his imagination. Blindness didn't limit his vision — in fact, being blind allowed him to see the world in unfamiliar ways, and to construct stories that forever changed the way we think about what stories can do. He created a labyrinth of a library that contains all the 410-page books you could make using all the letters of the alphabet; he wrote about a man who copies Don Quixote word for word but makes an entirely new book out of it; he invented a shimmering sphere in the corner of a basement that contains the whole universe, past and present. Taking a cab throughout the city now, you can't help but wonder: did Borges once go into that bar, or stand on this corner and look up at that building — am I seeing what he saw? 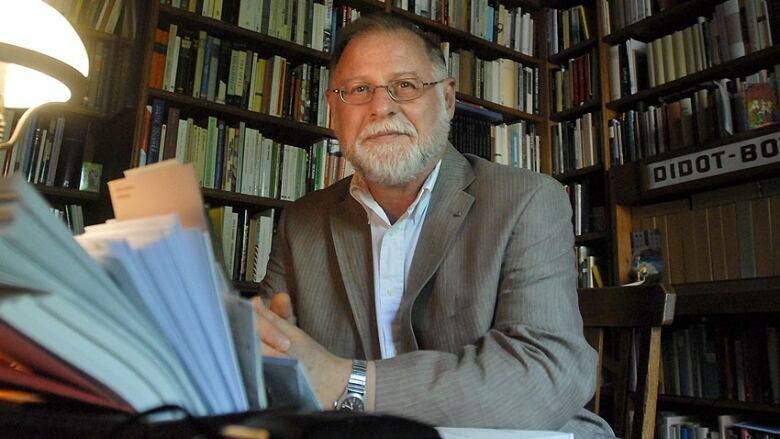 Alberto Manguel is an Argentine-born writer, translator, and editor. He is the author of numerous non-fiction books such as The Dictionary of Imaginary Places (co-written with Gianni Guadalupi in 1980) and A History of Reading (1996), The Library at Night (2007), and Homer's Iliad and Odyssey: A Biography (2008), and novels such as News From a Foreign Country Came (1991). He was the 2007 CBC Massey Lecturer, and his lecture series, The City of Words, explores many of the ideas raised in Borges writings. Ficciones by Jorge Luis Borges, Grove/Atlantic 1994. Labyrinths by Jorge Luis Borges, Norton, 2007. The Library at Night by Alberto Manguel, Yale University Press, 2009. A History of Reading by Alberto Manguel, Knopf, 1998. **This series is produced by Philip Coulter. The 2007 CBC Massey Lectures, "The City of Words"